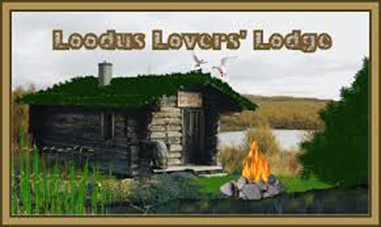 It is really funny to visit the webpage of the Svedish Jakts etc.etc. And more very interesting or funny things, and Google translates it all! More or less understandable... Have fun! Are you a mind reader, ergee?????? The address seems to be: http://media.jagareforbundet.se/vildsvin - if you want to watch the cam using WMP or VLC. Caysa, thank you for posting the address again. I was not connecting with the address I thought I had used last year when I was trying to check it a few weeks ago. 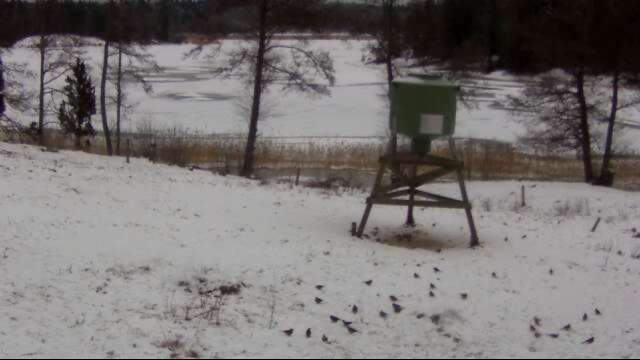 It appears that the camera angle has been moved -- and there are many birds here also like on our Estonian pig cam. I think that the camera maybe was not working either... it has been off for a very long time. The cam is odd in some way, angle and focus are not what it used to be. But much better than nothing!! I think these are the same pigs as you saw, ergee. caysa wrote: I think these are the same pigs as you saw, ergee. Yes that very well could be like that. Or older woman with young boyfriend..
Looks very similar - they have a good life if there is no other animals! Learning how spring begins...what it looks like! No hares and no fox or roe deer, quiet place. Sniff - sounds so sad - where is the other one??? Caysa, don't worry..he has not landed on the grill or barbecue..
Today I saw 2 men returning from their ice fishing trip !! Is winter starting again here?? Boar and 3 or 4 youngsters..
Awwww, I have to watch this cam more often!!!! Also I happend to watch the camera when it turned from day light cam to night vision!!! This is a great improvement that I did not notice earlier. Remember the odd lights they had there before?? There is no snow even if it looks like it - the lake was all free from ice too. How sweet to finally see some stripies this season. Thank you, Caysa! Let's hope they show up often ! !